Zero Restriction Tour Lite II waterproof jacket made with Gore-Tex. 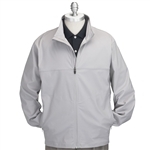 If you’re looking for some of the best custom embroidered outerwear that can be worn as corporate apparel or golf apparel, CEO golf shop is right where you need to be. We specialize in not only corporate apparel but golf apparel and accessories. Wear the brands of touring pro golfers for all your outdoor needs. Clients always have the option of personalization or logo embroidery on the items that they purchase. We feature some of the top brands that are difficult to find, and pride ourselves on offering only the best. We may not offer every brand but we do offer the best custom embroidered outerwear and the hard to find brands that you want, but can never find. 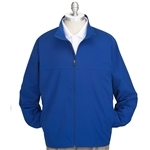 We also offer a vast choice of color and styles that you can choose from when ordering your customized outerwear. We know that depending on where you are in the USA or North America, that you’ll have different outerwear needs and we pride ourselves in giving you a great selection for your specific climate needs. We can help you choose the right products for where you will be using the outerwear and which fabrics will work best for with your custom embroidered logo. We are direct distributors for several manufacturers and this allows us to give you high quality products at great prices. Our outerwear brands include Zero Restriction, arguably the best there is, plus mid-priced brands Footjoy, Greg Norman, Adidas, Callaway Golf, Nike, and others. We offer our services to a wide variety of individuals that come from around the world and are looking for good quality waterproof and windproof outerwear. We often provide customized outerwear to corporate purchasing agents, executives, hospitality buyers, tournament directors, marketing directors, and event planners. If you’re a corporate buyer we can provide you with bulk pricing for customized gear. We can make the process and our corporate buyers’ jobs much easier as we pay close attention to every detail that you need in your customized product. We also know how important it is to produce a product that will work for the target market. We’re not just another distributor of promotional goods; rather we specialize in executive apparel and luxury gifts that our clients cannot get through other channels. If you are a corporate customer looking for a great way to gift your clients, or are an avid golfer, we have something for everyone. If we do not carry it, we know where to find it and then customize it, so that you get exactly what you want in choosing the best outerwear. The new 2013 spring catalog continues the trend to tech fabrics. For the first time ever, 100% of the Fairway & Greene apparel line has a tech componenent. Zero Restriction continues expanding their line in the shirt category, providing a layered solution for those that love the brand. unparalleled emphasis on product quality, customer service and sales support, the company has rapidly grown and is currently sold in over 3,500 of the finest private clubs, resorts and clubs in the world. 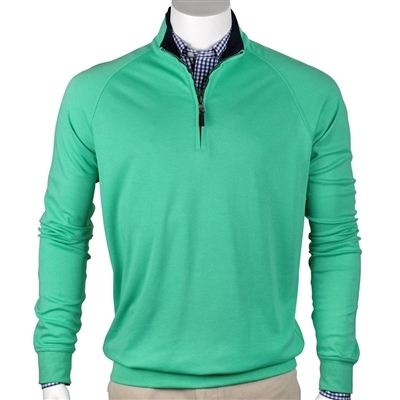 CEOgolfshop specializes in volume orders for active lifestyle apparel and executive gifts. While most companies carry only a few colors, we offer the entire line of each brand, so when a customer falls in love with a brand, they have the most choices. CEOgolfshop.com is an authorized online retailer for the entire EP Pro, Fairway & Greene, and Zero Restriction apparel collections. The privately held company currently sells throughout North America and seven countries, either directly or through its affiliates to executives, tournament directors, marketing directors, and consumers. Use CYBEROUT promo code for 30% off at CEOgolfshop.com on all outerwear. Code is valid for 11/26/2012 and November 27, 2012 only. Quantity discounts for corporate accounts do not apply. Optional logo embroidery additional. Click to buy men’s outerwear now. Click to buy women’s outerwear now. Founded in 1991, Zero Restriction is a Pennsylvania-born company that started making waterproof rainwear for golfers. Players on all three professional Tours saw the advantages of ZR, and orders started pouring in. Now more than 19 years later, ZR is setting new standards in all golf performance apparel, using innovative technology and patented features to enhance freedom of motion without restriction, something that is crucial for all golfers. Zero Restriction is a top-rated outerwear brand among retailers (AGM 2010 Survey and PGA Magazine), and past supplier to international team competitions (Ryder Cup, Walker Cup, President’s Cup). Zero Restriction is part of Summit Golf Brands which also includes Fairway and Greene and EP Pro. CEOgolfshop is proud to offer the finest golf performance apparel for corporate apparel, executive gifts, and individual enjoyment. CEOgolfshop.com is privately held and sells via the internet and special events only. The company currently sells throughout North America and seven countries, either directly or through its affiliates to executives, tournament directors, marketing directors, and consumers. Protective outerwear without the bulk. 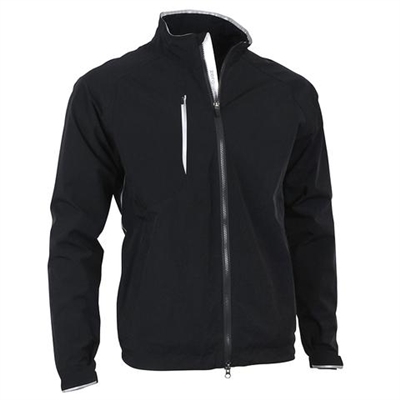 Enjoy freedom of movement in this stretch windproof full-zip jacket. Made of a water resistant, windproof stretch woven fabric. Matte exterior finish with slick interior, for ease of movement and sliding over other layers. Clean, modern styling, with full-zip storm flap and open bottom. Great executive gift item or corporate outerwear.